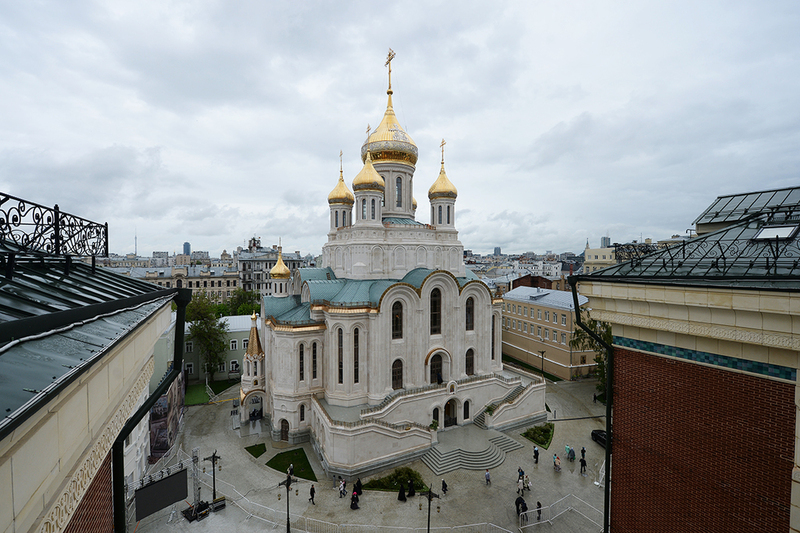 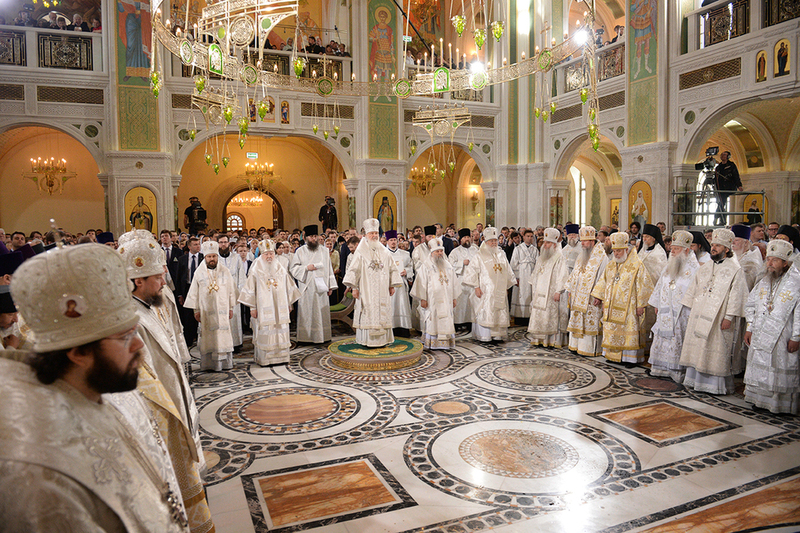 On May 12/25, 2017 – the feast of the Ascension of the Lord – His Eminence, Archbishop Peter of Chicago & Mid-America, participated in the consecration of the newly-built cathedral named in honor of the Resurrection of Christ and the New Martyrs and Confessors of Russia at the Sretensky Monastery in Moscow, and the subsequent Divine Services in the newly-consecrated cathedral. 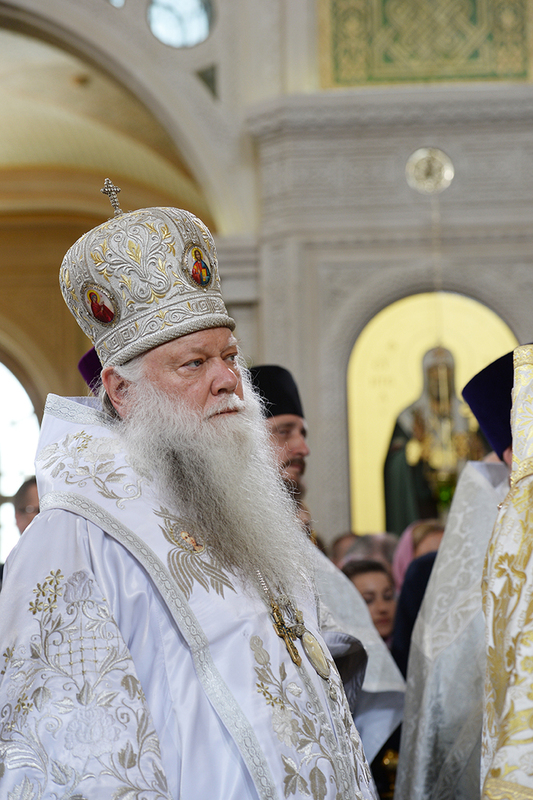 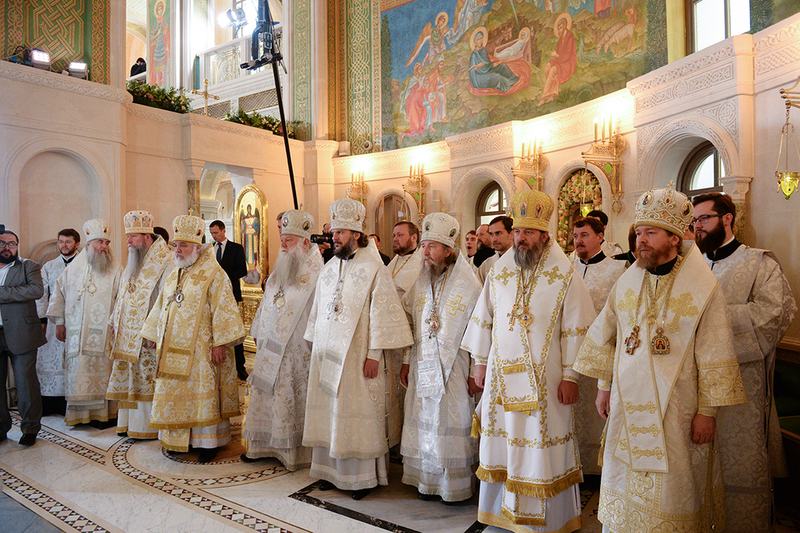 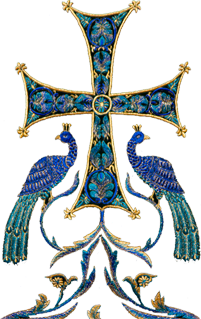 The Divine Services on this day were lead by His Holiness, Patriarch Kyrill, and many of the hierarchs of the Russian Orthodox Church Outside Russia took part in the festivities as this triumphant day marked the 10th anniversary of the signing of the Act of Canonical Communion by the ever-memorable Patriarch Alexey and Metropolitan Laurus. 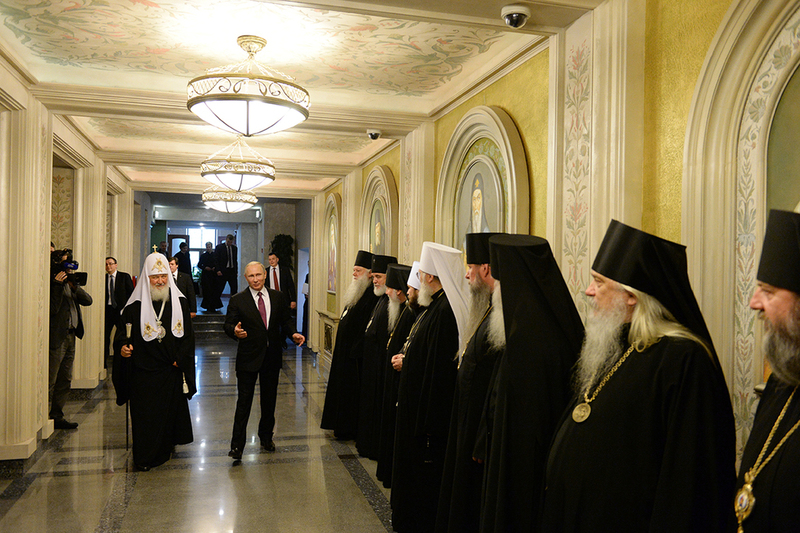 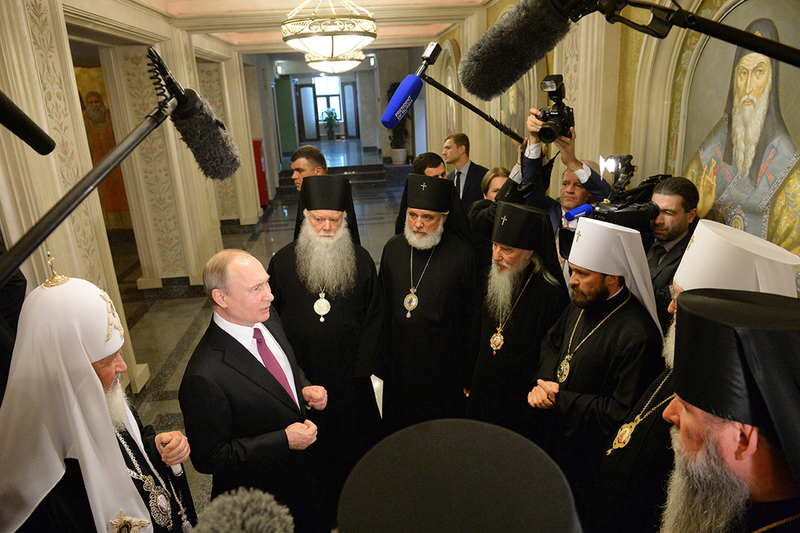 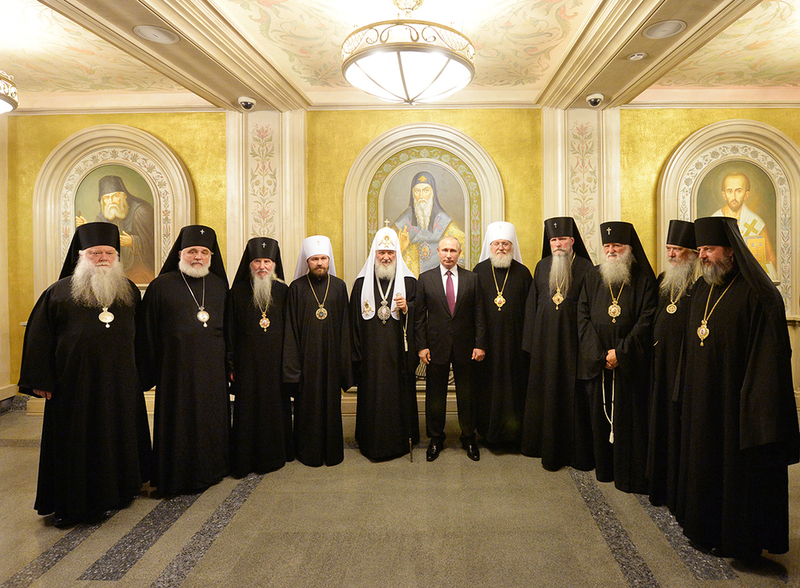 Following the Divine Services the hierachs of ROCOR met briefly with the President of the Russian Federation, Vladimir Putin in the seminary building of Sretensky Monastery.